Black Meets White. A brilliant white base is complemented by 160 simple white beads of light edged with a contrasting black screen printed fringe. Strikingly simple, this neutral 5-tipped star combines cool clarity with a bold contrasting decorative motif. 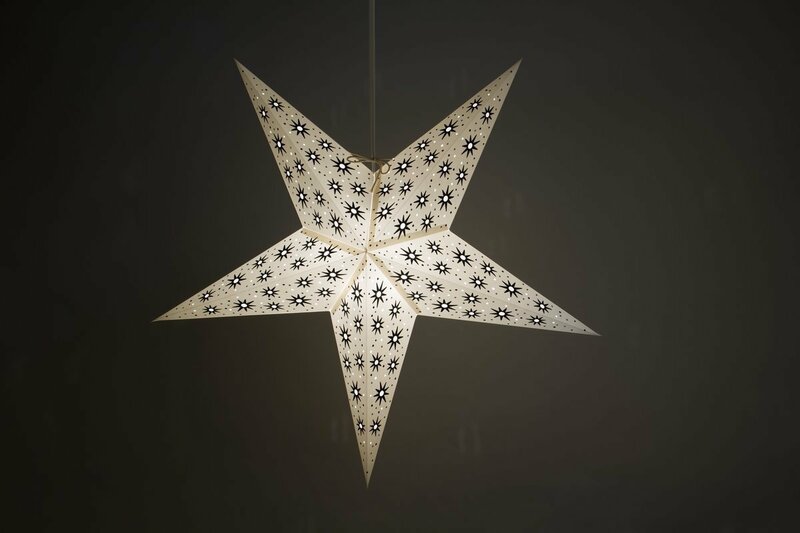 The white base glows with a clear light, making this hand-made star perfect for reading and detailed work, and a great choice if you’re looking for a decorative light shade that will be the main source of light in a room. 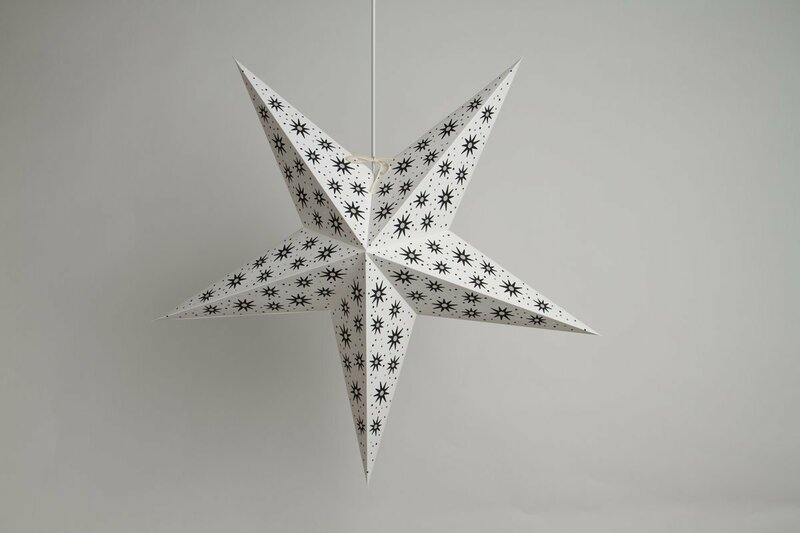 A match for most colour schemes, this classically simple hand-printed star is a good choice for lighting up a kitchen or dim hallway and ideal if you’re looking for a bright lampshade with a decorative edge. View the rest of the Aster paper star range below!